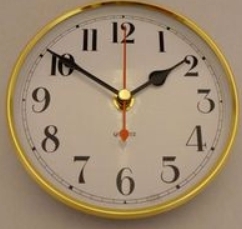 This Premium Fit up clock has a Youngtown movement with a quality glass lens and brass bezel. The overall diameter is 130mm. mounting depth 25mm and hole size 80mm. Uses 1 AA battery. 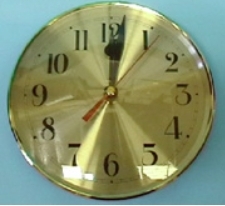 This Premium Fit up clock has a Youngtown movement with a quality glass lens and brass bezel. The overall diameter is130mm. mounting depth 25mm and hole size 80mm. Uses 1 AA battery.